All the Brand New products we sell come with a minimum 30 days warranty. If you are dissatisfied with your purchase, you can return your products for repair, replacement or refund within 1 month time (starting from the dispatch date). It is very important for replacement or refund the items IN ORIGINAL CONDITION.This does not apply to faults caused by accident, neglect or misuse, for which there will be no replacement or refund . Buyers are responsible for the returning shipping costs under any circumstances.In case the returning item is not our product or without the quality problem after checking, we'll refuse to return or replace product and not refund. Despite our best efforts parcels are ocassionally lost in transit. If your order has not been delivered within 30 days of the despatch date, please contact your local post office to check whether the goods are being held there for collection. In the unlikely event that the package is not being held there, please contact our Customer Services Team for assistance. Please be aware that if items are not delivered it is essential that you contact Lunashops.com within 30 days of the despatch of your order. Failure to inform us of non delivery within 30 days of despatch will mean that an insurance claim cannot be made, and you will therefore not be able to claim any loss from Lunashops.com. Most of the parcels will be deliveried by post office small parcel (For instance Hong Kong Post Flat Air-mail small parcel or China Post small parcel etc. ), and some heavy or expensive items will be sent by Express( EMS, DHL, etc. 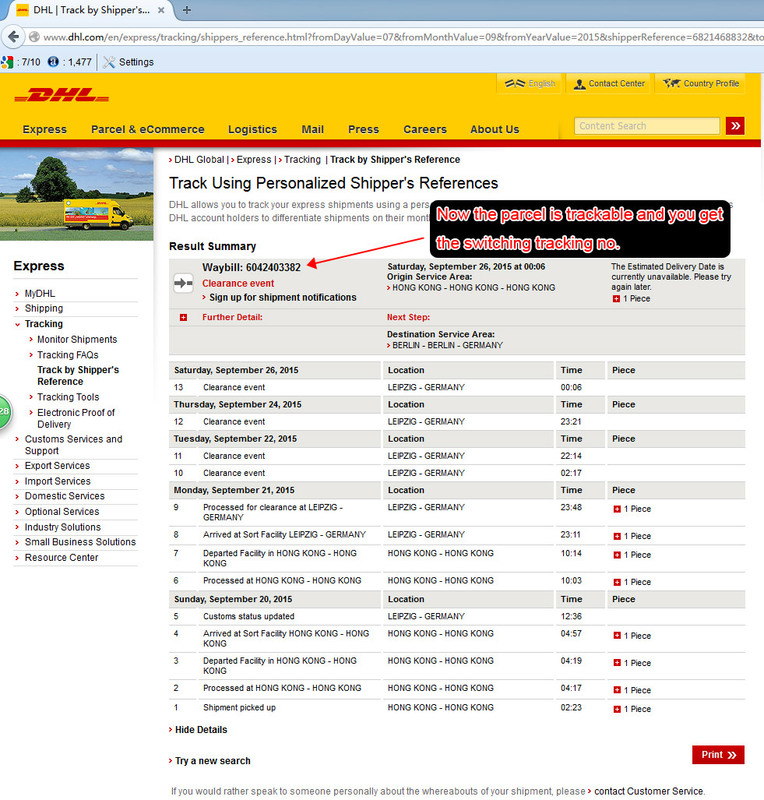 ), registered parcel can be tracked by the tracking NO. on-line. We will offer you the tracking NO. as soon as possible after we make the shipment. We ship to Paypal address only if you pay via Paypal. Normally items will be shipped within 3 business days(excluding out of stock).The parcel will arrive within 25 to 35 working days normally for most countries (Europe, America, Australia, etc.). 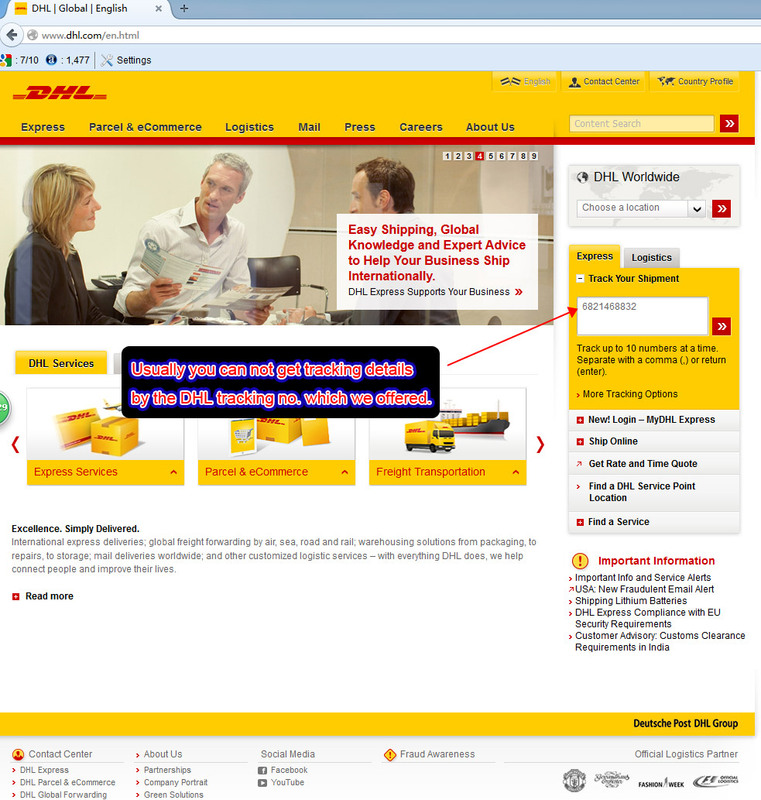 Also, you can select the DHL, EMS, typically takes only 7 to 15 workingdays. If you want to use the express service you need to pay for the price difference please contact us before you pay. After we delivery your item, an Email will be sent to your email address, and the tracking info will be there for your reference. Import duties, taxes and charges are not inluded in the item price or shipping charges. These charges are the buyer's responsibility. 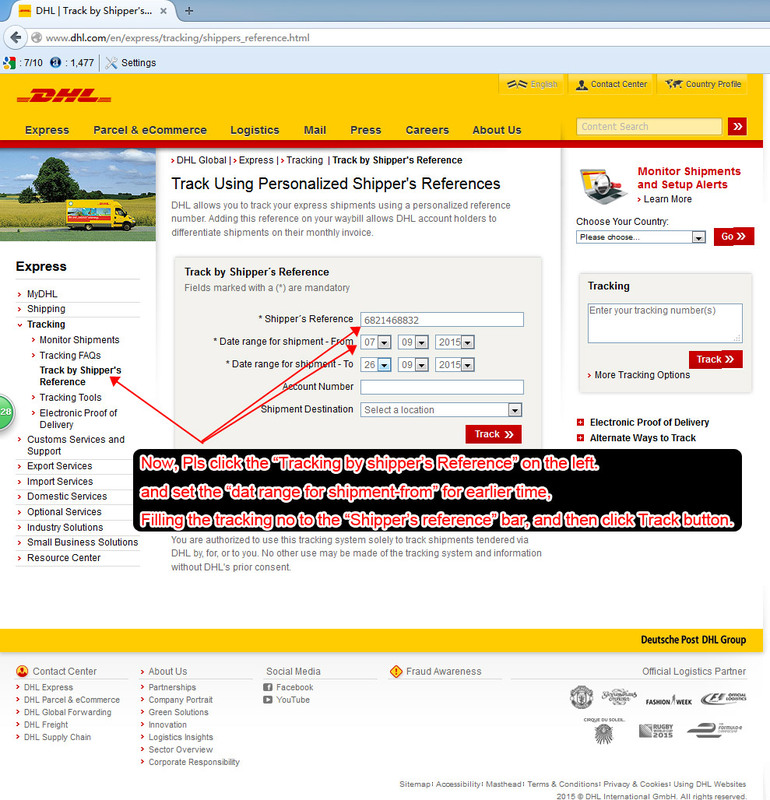 Questions:Why can't I track my DHL parcel? I used the tracking no. you offered me, but no tracking no. So where is my parcel? Answer: Okay, Pls refer to following steps. Questions:Hi, I do it as you show, But i still can not find my order. 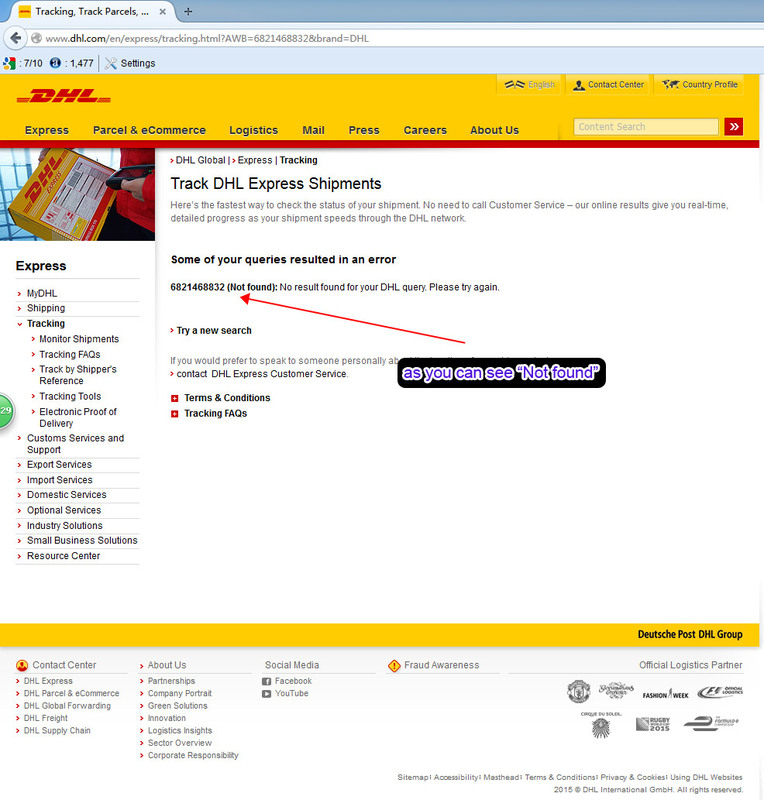 Answer: Usually you can track it after 3-4 days when we offer you tracking no. We ship the parcel to our Shipping Agent firstly, It will cost some time. You can email us if you can not track the parcel after you do all as we teached.